As ALL IN approaches, it's impossible not to be wowed by Cody and The Young Bucks' crafting of independent wrestling's biggest ever occasion. Their dedication to their own self-worth in an era of risk-free job security is legitimately admirable. It reflects a confidence WWE has worked to dilute amongst its own performers. The organisation - directly and indirectly through cynical and shortsighted booking - so rarely allows the talent to actually feel talented. This couldn't be further from the ethos of ALL IN - an event that sold out in under half an hour, promoted by leaking a name at a time before even announcing matches. As far as wrap-arounds go, Starrcast is equally unprecedented. A slew of personalities from the industry will make up something of a fan dream sequence, offering audiences opportunities to see some of their heroes is specially selected scenarios to buttress the typical meet-and-greets that normally clog up schedules before major events. "Podcast Row" will be part of festivities, with those ordinarily only in earbuds given platforms to present live and interactive versions of their various shows. Dave Meltzer will clash head on with figures known for disavowing his presence. WrestleCrap and Botchamania were built to lovingly mock the product, but will now become the product themselves. WhatCulture.com's own podcast feed will feature exclusives all weekend long. 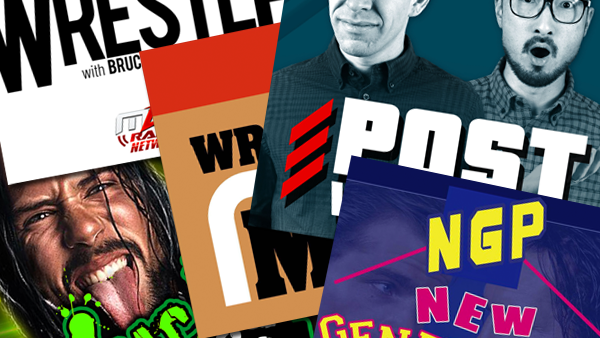 Podcasters themselves have become part of a landscape shifted by a wrestling industry evolving faster than many ever felt possible. These are the very best of a huge bunch.